Our world is changing and the rules of customer service are being rewritten. Read on to learn more. With over 100,000 new blogs being created each day, every individual’s voice can now be heard. And, with more ways to connect to one another – through the Web, the blogosphere, social networks and virtual worlds – people are starting to tap into the power of the online community. What does this mean for customer service organizations? The rules of customer service are being rewritten. Web 2.0 consumers, who have become accustomed to the instant access and gratification of the Internet, expect the same level of speed and ease in their customer service interactions. They trust their social networks and look to peers online for information and advice. Self-service is a way of life for them, not just an option for service outside business hours. Plus, an unhappy customer has the power to destroy a company’s brand with a single click. Leading companies are using Software-as-a-Service (SaaS) to swiftly adapt to this new world. SaaS – or on-demand software – brings together both the technology and interaction models popularized by Web 2.0 to help customer service organizations turn their customers into evangelists, transform service agents into brand champions, and move as quickly as their customers demand. Turn Customers into Evangelists: Self-service websites have been around for a while, but most are static, difficult to navigate and use, and limited in the types of services available for the customer. With on-demand, companies can quickly deliver a fully branded, personalized customer portal that redefines the customer experience. Just as Google and Yahoo! make it easy to find information on the Web, these portals help customers easily find the right answer to their questions. The relevance of the answers is continuously improved through user ratings and feedback, another attribute of Web 2.0. Customers can log or email trouble tickets and chat with agents online to resolve service issues and requests. Beyond issue tracking, companies can enable any number of new services for customers using mash-ups with Web services for maps, shipment tracking, ordering, and training. On-demand customer portals also allow companies to create their own social networks for their customers using Web 2.0 technologies like blogs, wikis, forums, and online voting. All of these services are fully integrated with the internal service application, allowing customer service managers can have complete visibility into these interactions. By creating these compelling online experiences and being part of the conversation with the community, companies can build greater customer loyalty. Transform Agents into Brand Champions: With client-server solutions of the past, customer service organizations had to choose between speed and ease of use. On-demand applications, which are built from the ground up on the Internet, provide the best of both worlds: they are as intuitive as buying a book on Amazon.com, while also providing a highly-efficient, desktop-like user experience, thanks to Web 2.0 technologies like AJAX. These technologies also allow on-demand applications to seamlessly integrate both traditional telephony systems and new VoIP services, such as Skype, right into the browser and combine productivity features like click-to-dial, screen pops, and call logs. Plus, since on-demand is built natively as a Web service, companies can create a 360-degree view of the customer history by integrating data from internal and external systems. For companies looking to outsource, offshore, or homeshore, on-demand is a natural choice – since it requires no hardware or software installation onsite, companies can turn any browser anywhere in the world into their own call center desktop. 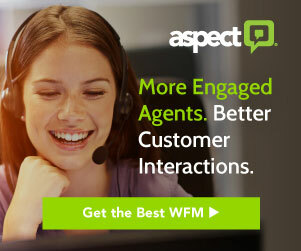 By giving every agent the right tools and up-to-date information at their fingertips, on-demand can empower call center agents to delight their customers by delivering faster, better service with the fewest possible clicks. Move as Fast as Customers Demand: As the front line for the customer experience, call centers need to constantly innovate their service to meet callers’ changing expectations. Client-server solutions of the past have forced customer service organizations to focus on technology infrastructure rather than service innovation because those solutions are hard to implement, challenging to use, and tough to maintain, customize, or modify. In a recent report, Gartner said that $8 out of every $10 that companies spend on technology is “dead money” because so much effort is spent just on keeping the infrastructure running. On-demand frees companies from the hassles of expensive and complex hardware and software so that they can focus their resources and energy on delivering a superior customer experience, while the on-demand vendor takes care of the infrastructure. On-demand provides the most value to companies when it is built on a multi-tenant architecture. Multi-tenancy is the core innovation that allows consumer Web giants like eBay and Amazon, as well as Web 2.0 applications MySpace and Facebook, to run shared, massively scalable infrastructures. These giants can complete these functions while allowing each user to keep their information private and fully customize their experience or “space.” On-demand platforms that follow this model are unmatched in their flexibility and speed of customization, allowing companies to tailor the application to fit their unique business. As business needs change, companies can easily and quickly make modifications or develop their own custom applications with just a few clicks. Multi-tenancy also allows an ecosystem of vendors to create value-added applications, just as many developers build services on top of eBay and Amazon or home page widgets for Yahoo! and Google users. That means customer service organizations can count on a growing stream of innovations from both the on-demand vendor, as well as independent software vendors. Connecting the Dots: In their recently released 2007 Magic Quadrant for Contact Centers, Gartner predicted that at least 75% of customer service centers will use a form of SaaS by the year 2013. Visionary companies are joining the on-demand revolution to stay in tune with the Web 2.0 customer. They are replacing inflexible and complex legacy systems to get up and running with the on-demand in weeks – without being mired in long implementation cycles or painful upgrades. Furthermore, The Economist, in its recent survey of 406 senior executives across the world, found that companies expect their customer service departments to be one of the most significant users of Web 2.0 technologies. 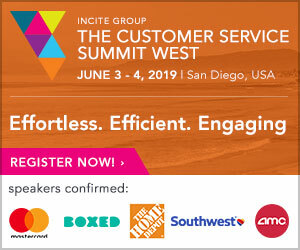 By bringing the best of Web 2.0 to customer service applications, on-demand is poised to play a critical role in helping companies build a community of loyal customers with enduring value. Chuck Ganapathi isFounder & CEO at Tactile; previously SVP Products at Salesforce.com. This article first appeared in Connections Magazine. Previous article: A Real CRM Strategy or Just Tracking Customers?